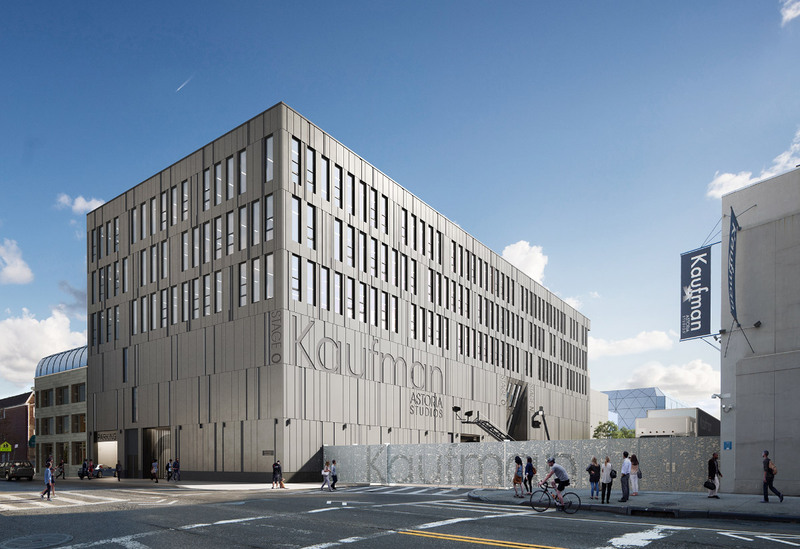 Kaufman Astoria Studios, a film and TV studio that’s been a fixture in Astoria, Queens since its opening in 1921, is expanding in a big way. 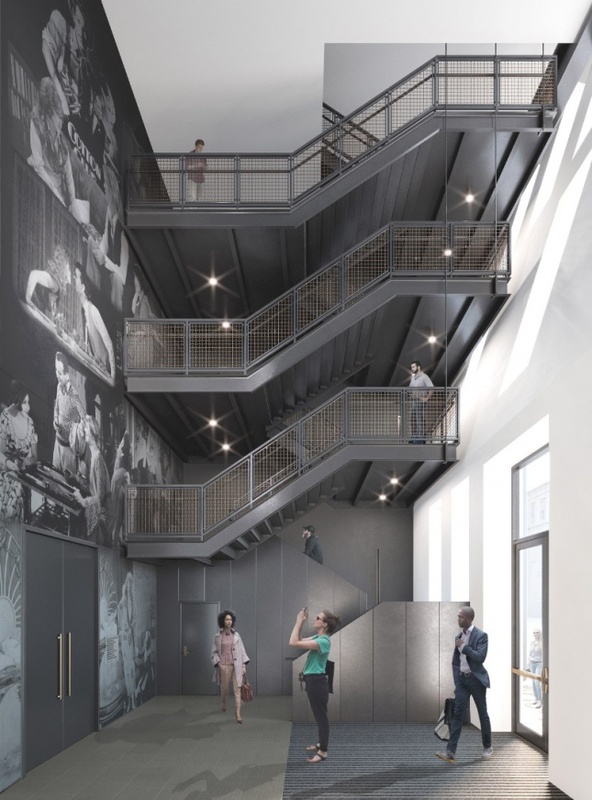 Local firm GLUCK+ has shared renderings of the forthcoming four-story film and production building, which comes on the heels of Kaufman Astoria opening the city’s first backlot (used to stage outdoor scenes) in 2014. Besides adding several floors of office space, the new building will hold production offices, dressing rooms, prop storage areas, and two stages, increasing the campus’s stage space by 25 percent. Once completed, the new building will represent a sizable increase for the studio’s overall campus, which currently stands at 500,000 feet, and includes nine stages and a restaurant. The project, sited at 35-71 34th Avenue, is down the street from the Museum of the Moving Image. From the renderings, it seems that the studio will also be returning a perforated gate at the northern edge of 34th Avenue that was removed in 2014; the same year a new entrance gate and spiral staircase were added to the campus’s south edge. The exterior of the 100,000-square-foot addition will be clad in vertical panels, and the overall scheme fits comfortably into GLUCK+’s design canon. 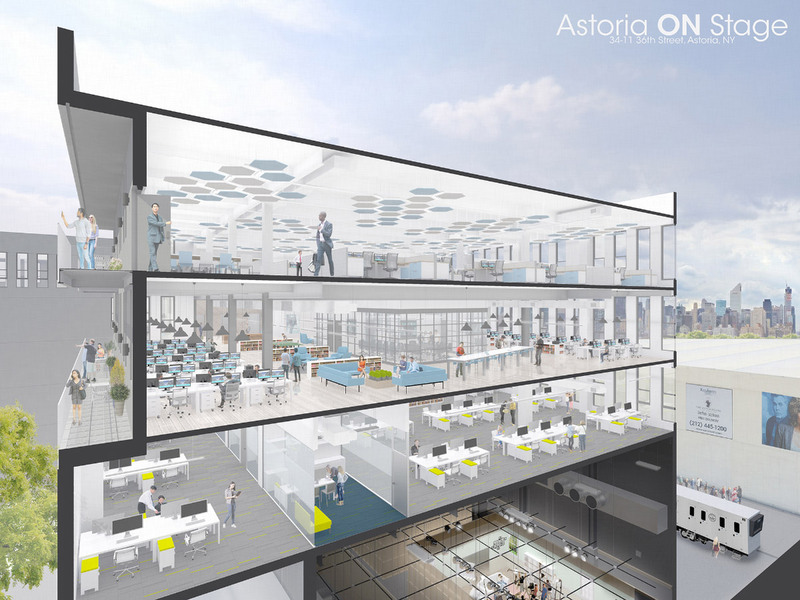 The 84-foot-tall film and production building will hold 68,000 square feet of open office space across the top half, which should be well-lit due to the numerous, narrow vertical punch windows that break up the facade. According to YIMBY, Kaufman Astoria employees can expect 14-foot-tall ceilings and seven balconies. 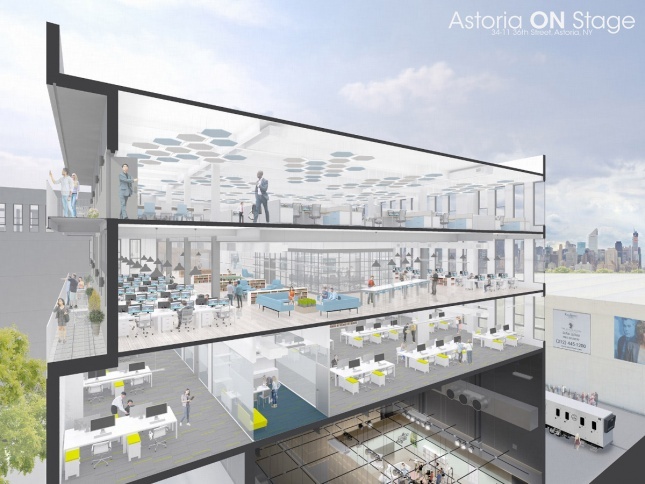 Kaufman Astoria will also be gaining two stages inside of the building’s heftier bottom half, directly below the offices, as well as 134 parking spaces. Kaufman Astoria Studios has been hugely influential in New York’s film and television history, and everything from silent movies to TV shows like Sesame Street and Orange is the New Black in more recent years has been filmed there. Construction on the office project began in February 2017, and no completion date has been announced as of yet.